Lafage Lanquais. Only 20 min from Bergerac Airport. Private Pool. 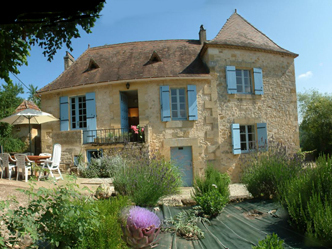 Top quality privately owned holiday rentals in the Dordogne region of South West France. (Aquitaine). Many with instant on line booking and availability calendar. Availability on line. 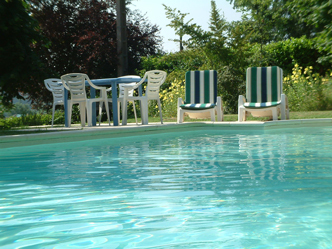 The Dordogne and beyond, Aquitaine, is an ideal place for self-catering family holidays. It enjoys pleasant weather from April well through to mid September and beyond, but out of season it is still an ideal place to take a rental property. There are plenty of beautiful gites and villas to choose from. Many of these have private pools, and most have access to a pool. Explore a wine region with a history older than even Bordeaux, and delight in the region's many restaurants. Visit the walled cities or Bastides that date back to medieval times, or trip further back in history to the Dordogne's many pre-historic sites, of which the World Heritage Caves at Lascaux are truly outstanding. For the more active, South West France is ideal for a family or adventure holiday. There are water sports including canoing and whitewater rafting on the Dordogne river. Walking and cycling are some of the best ways to see the countryside and of course horse riding and tennis are widely available. The Dordogne is also ideal for the golfing enthusiast with many top-class golf courses, but perhaps just as importantly, plenty to interest the non-golfing partner. The region is easy to access by road, by plane via Bergerac airport, and also Bordeaux, Toulouse, Biarritz, La Rochelle and Limoges airports. Sarlat, the unrivalled medieval town. The Dordogne and Vezere rivers which offer water sports as well as beautiful countryside. Gourmet food, including Foie Gras, Duck and Goose products, truffles, chestnuts, walnuts, game and fruit. A short drive away you also have the famous Bordeaux wine region with hundreds of producers to visit. There is a wide range of accomodation available in the Dordogne. From hotels to self catering, campsites, or mobile homes. Every market will have at least one fresh fish stall, along with butchers, specialist cheese merchants and of course plenty of local vegetables. There's also an unrivalled selection of superb artisan made ready-prepared food, hot and cold, to take home and enjoy with almost no effort. Would you like a private pool, or do you not mind sharing? Do you mind if the pool is overlooked? Bear in mind that in peak season, July and August, temperatures may be high enough to make access to a pool essential for those not accustomed to this kind of weather. Many properties may also be near a lake, although some lakes are private- so check are there charges for use. Access: Are you driving, fly/ driving or relying entirely on public transport. How near the airport do you want to be? The train system in France is excellent, making it a very realistic option for day-trips, so being near a station may be a good idea. Facilities: Do you want linen/ towels supplied or are you happy to bring your own? (expensive now that budget airlines are charging for luggage!!) What about airconditioning? Some French holiday homes will have this in one or more bedrooms. Or throughout the whole house- though this is rarer. Do you need a washing machine, television, dishwasher? Is there a barbecue supplied and enough garden furniture, or will you have to bring indoor furniture outside and then bring it back in at night. Will your property have enough chairs/ tables for you to entertain friends, or just enough for you, the paying guest? Click here for availability of this property.